Mexico is the country of contrasts – from hip cities and historic architecture, to staggering natural wonders like lush rainforests or pristine beaches. There is plenty to see and do, this time though we have chosen ten places, that are really cool. Found on the wonderful Baja California Peninsula, which lies surrounded with the ocean, thus receiving some humidity despite the low rainfall. The unique phenomenon of incredible desert rivers, flowing from the San Ignacio Lagoon, occurs here – the formations look like giant trees from above! The ecoregion features a diversity of animals, reptiles, birds and some scarce fauna. Tourists visit the peninsula to admire the unsoiled nature. There is a special bond between the living and the dead in Mexico. Population indeed experiences brutality and terrifying numbers of murder every day. 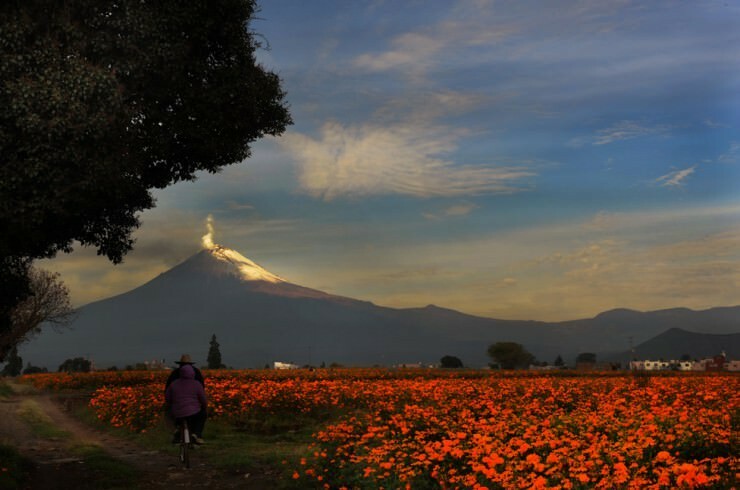 In Xoxocotlan one can discover the deep rooted traditions of mourning: visitors will see thousands of flowers, candles and people remembering the dead sometimes even with the guitars and songs. Day of the Dead on October 31 is the most impressive, allowing to participate in what almost seems like a carnival. One of our most favorite things in the world: a park, which looks like the site of ancient ruins. 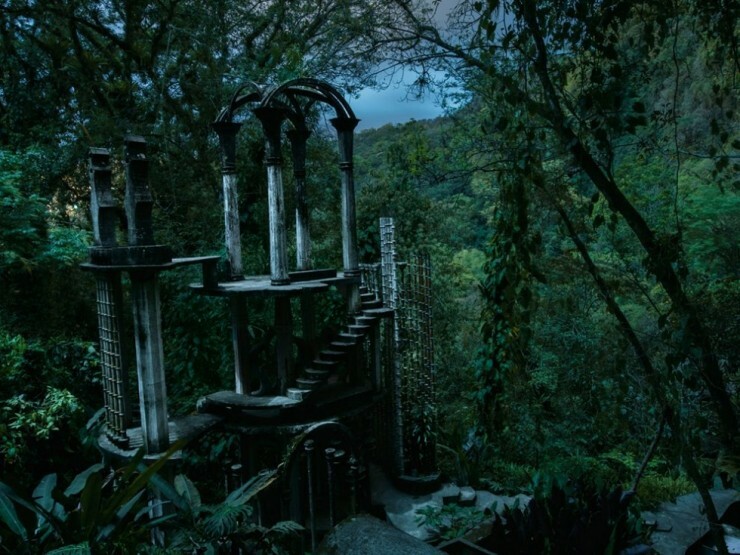 Edward James – an eccentric English artist – has created this surreal park in a rainforest in Mexico. The surreal sculptures, that look like the ruins of an edifice, blend in beautiful nature and create an impression of a deserted wonderland. Wander around the site, take pictures and think of it as a kingdom that once flourished. One of the most famous underwater attractions in the world is found off shore in sunny Cancún. Sculptor Jason deCaires Taylor has made the sculptures of humans and placed them here. The museum was built in order to preserve the reef. The sculptures are made of natural materials and eventually they will become artificial reefs. The exciting installation can be viewed from the glass-bottom boats, by snorkeling or scuba diving. Tourists also get to see the natural corals, that are the object of the whole concept. 70 km (43 mi) from Mexico City, Popocatépetl is one of the most active volcanoes in Mexico – its name in Nahuatl means Smoking Mountain. Despite the fact that it is one of the most active volcanoes in the country, brave monks have built monasteries in the 16th century on the slopes of the volcano. Today they are preserved by UNESCO. Tourists usually take a one day tour from Mexico City to this beautiful, culturally and historically significant mountain. El Castillo or the Temple of Kukulcan is the most famous and recognizable landmark of the Mayan era. It is estimated that the pyramid was built between the 9th and 12th centuries. It attracts thousands of tourists every year. The pyramid embodies astronomical cycles, that Mayan were familiar with. During the equinoxes, twice a year, a wonderful phenomena occurs, attracting even more spectators: as the sun sets, a snake appears, meandering down the 365 steps, that each represent one day of the year. You can visit the site individually or hire a guide. One of the greatest and most famous historic monuments in the world. The deep natural sinkholes are very often found in Mexico. Chichén Itzá’s two pits are especially beautiful and popular among the tourists, since the city itself is very interesting and worth visiting. Sacred Cenote serves not only as a natural wonder, but as a historic spot, as well. The sinkhole was visited by the pilgrims, who would sacrifice objects and sometimes humans for the god of rain. Very well preserved materials were later found in the bottom of the pit. 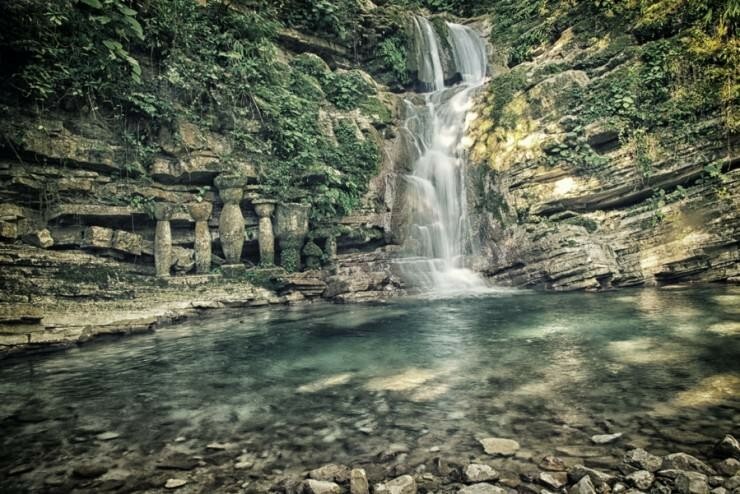 Admire the beautiful natural wonder, that also has a historic and sacred significance. Also visitors can have a refreshing dip in the water, which is so exhilarating on a hot sunny day. A unique group of rock formations is found near Los Cabos Corridor – a popular tourist destination due to its many beaches and resorts. In 16th century pirates would hide behind these rocks and lurk for the Spanish ships, loaded with valuables. The gorgeous rocks are very often visited by the vacationers. The easiest way to get there is by getting a water taxi, that will give you a tour, drop you at an intimate Lover’s Beach and take you after a while. You will also get to see the colony of sea lions, that gather at El Arco de Cabo San Lucas. The striking coastal area is surrounded with red mountains, features eight beaches and a turquoise lagoon. Busy city of La Paz is found nearby, making Balandra a pleasant getaway from urban hustle and bustle. Crystal clear water in the lagoon usually reaches 30° C and is perfect for exploring diverse marine life: corals and hundreds of species of colorful fish attract scuba divers. It is also perfect for swimming and sun bathing on soft white sand. Unspoiled nature is preserved in Balandra and no tourist facilities, apart from a few restaurants and diving rentals, are developed. A truly stunning getaway.